I recently decided to become a Peskatarian (or pescatarian???) (kind of). To stay sane, I’m going to eat meat about one day out of every 2 weeks. Not that vegetarians aren’t sane, I just need a break to know I will commit to it. I was a vegetarian once for a month my freshman year of college, and well, it lasted one month. I’m hoping this allows me to last a year, or who knows how long? Anyway, I’m not putting a time frame on it because it may just last a month again. If you don’t know what a Peskatarian is, let me enlighten you with the Urban Dictionary definition: Someone who is too lazy to be a vegetarian, and will only eat fish. Refraining from the consumption of mammals. So there you have it folks. Anyway, I’m going to begin cooking more since I feel like I have less options when I go out to eat. 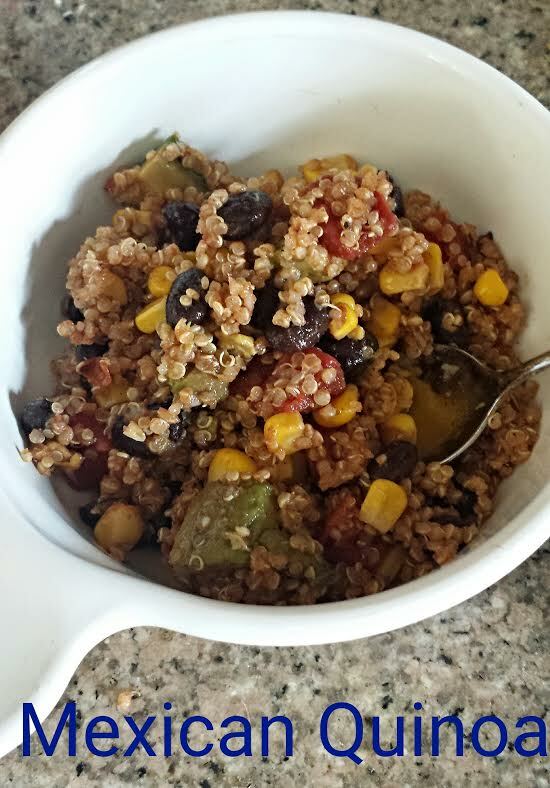 I started my cooking journey by making a one pan Mexican quinoa dish featured on Damn Delicious. I modified it just a bit!